I screwed up! Broken brass fitting. Help? 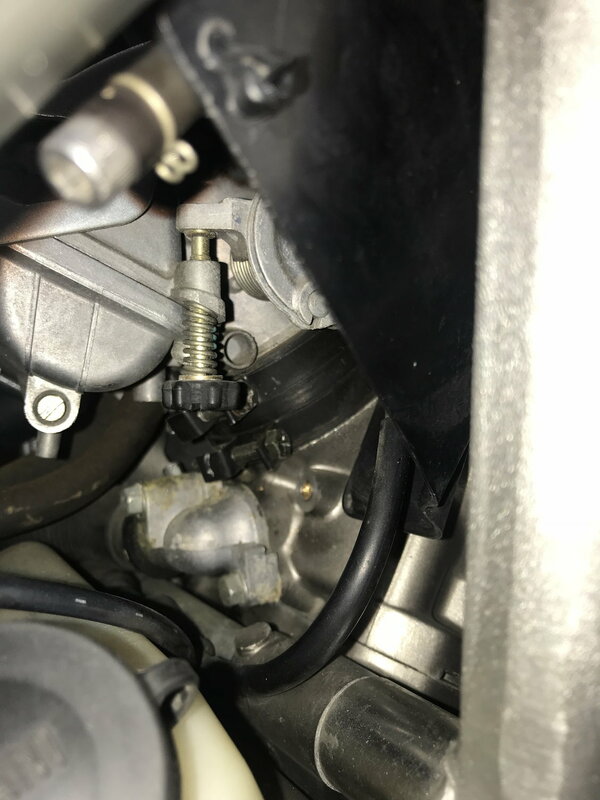 Obviously not appreciating how soft brass is relative to steel, I overtightened the brass fitting I was using to do the carb sync mod on the front cylinder and snapped it off flush with the jug. Of course, I used loctite since it was never coming out. Any suggestions? 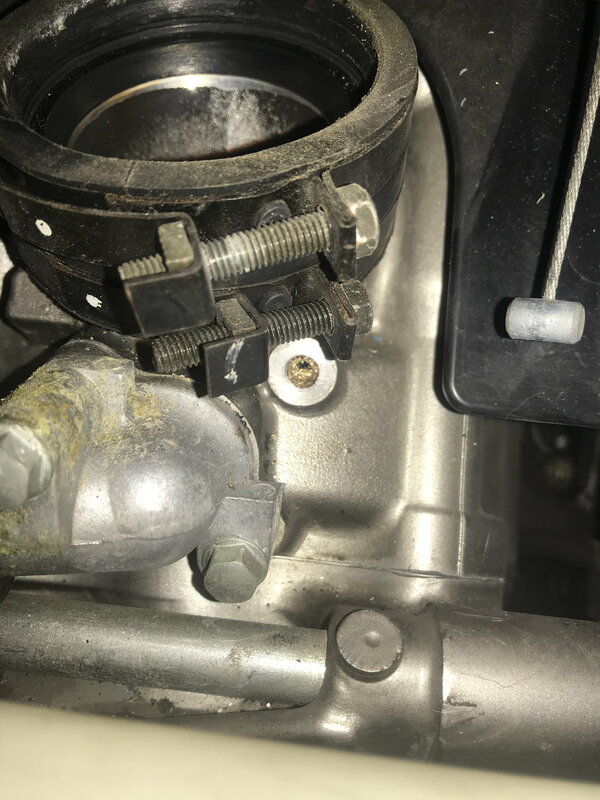 Thoughts are to remove the carbs to access access from behind maybe to plug the rear side somehow and then use an easy out externally. Can’t believe I did this. Remove everything you can to gain access. Need to heat the fitting to about 250c to soften the thread lock. That will take a LOT of heat as there is a lot materiel.....its going to take repeated heat transfer from a red hot pointed piece of steel you heat with torch, or direct flame from a size 0 torch tip. Heat gun aint going to do it, and a pencil butane might, but it will take a while. If you have a temp gun, use it to confirm at least 200deg C before trying to extract the broken fitting. Once its hot, you should be able to back it out with a basic extractor. I did the same thing! I BARELY tightened the thing and it snapped. I ended up buying these instead of the stock ones. You just have to cut them to length and they are IMO better than the stock ones. Hmmmm. I see a new 'fitting' project..... .
of room on top. Feeling better now. Going to try heat and easy out as suggested. What kind of business are you operating Mr. Flash? Why have you been trickling various 'fittings' onto the market over the years? Seems like an evil ploy to ratchet up the profit margin for your wares. Any reputable vendor would offer a comprehensive 'fitting' kit. Stop ignoring our model. Was able to back out the broken fitting with heat (butane) and an easy out. Retapped hole for good measure. 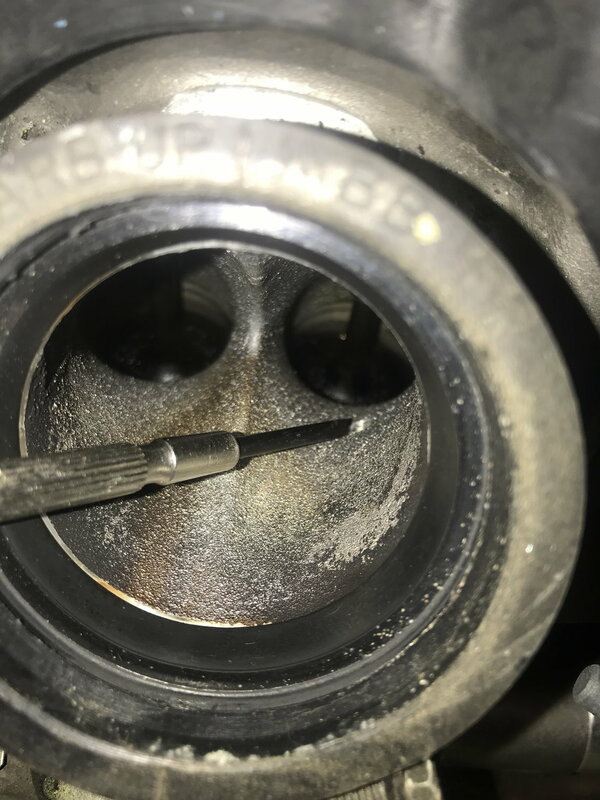 No filings into valves. So relieved! 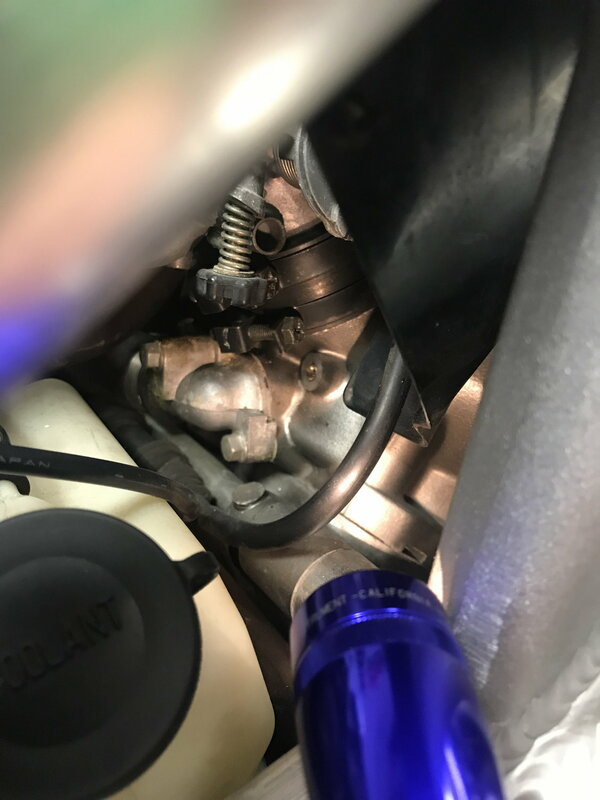 Carb sync mod completed. Thanks E. Marquez!!! And others for advice. Great! I wouldnt put anything on the threads personally. My little stud just twisted out with a pick when it broke. Help I think I screwed up? Quick Reply: I screwed up! Broken brass fitting. Help?